An agreement to launch a new cryo-EM capability for use in the life sciences industry sector by Thermo Fisher Scientific, a leader in high-end scientific instrumentation, and Diamond Light Source, the UK's national synchrotron and one of the most advanced scientific facilities in the world, was announced at the official opening of the new national electron bio-imaging centre (eBIC) at Diamond. This announcement confirms Diamond as one of the major global cryo-EM sites embedded with an abundance of complementary synchrotron-based techniques, and thereby provides the life sciences sector with an offer not available anywhere else in the world. Professor Dave Stuart, Life Sciences Director at Diamond and MRC Professor of Structural Biology at the University of Oxford, Department of Clinical Medicine, says, "Access to 21st century scientific tools to push the boundaries of scientific research is essential for both academia and industry, and what we have created here at Diamond is truly unique in the world in terms of size and scale. The new centre offers the opportunity for almost real-time physiology, capturing proteins in action at cryo-temperatures by flash-freezing them at various stages. What Diamond has created with eBIC is an integrated facility for structural biology, which will accelerate R&D for both industry and academic users. The additional advanced instruments made available by Thermo Fisher will position the UK as a global leader in providing large-scale industrial access to cryo-EM for drug discovery research. Our new collaboration provides a step change in our offer for industry users and helps ensure that R&D remains in the UK." The collaboration will further expand Diamond's cryo-EM offerings by providing two new dedicated microscopes and professional cryo-EM services designed exclusively for the pharmaceutical industry. 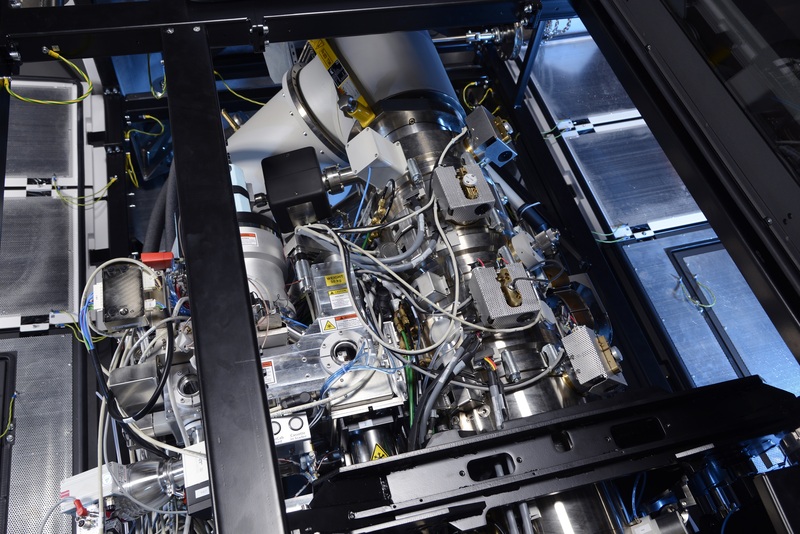 New instruments being installed include a Thermo Scientific Glacios Cryo transmission electron microscope (TEM) and a Thermo Scientific Krios Cryo-TEM at eBIC. The two organisations will provide cryo-EM guidance and expertise in sample preparation, cryo-EM sample screening, and high-end data collection to industrial researchers. The new microscopes will add to Diamond's four existing high-end microscopes, which are starting operation within eBIC and will continue to support the academic demand.